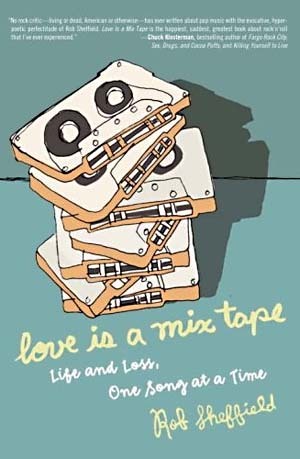 After about a year, I finally finished reading Love is a Mixtape: Life and Loss, One Song at a Time by Rob Sheffield. Friday Freebies: Join the SASE Club! I’ve admired the work of the folks at Invisible Creature for awhile now. From the Sasquatch Music Festival to the Hurricane Poster Project, Invisible Creature has developed a strong voice in the design world. Now, you’re invited to join the fun! The Lil’ Happy Invisible Creature S.A.S.E Club is kind of a throwback nod to the days when people actually sent letters to each other (“S.A.S.E” means “self-addressed stamped envelope, by the way). It’s real simple. Send us a self-addressed stamped envelope and we’ll fill it with goodies. Put 2 stamps on your return envelope and we’ll fill it with more. However, we thought we’d make it a bit more fun and interactive. Regardless of your artistic ability, we ask that your envelope addressed to us be creatively designed or illustrated. No rules, anything goes – and we’ll post the coolest ones on the Lil’ Happy Twitter page. Last month, I was able to catch Far on their reunion tour. Despite being down one guitarist, Jonah Matranga and the band put on a fantastic show. Amidst the massive riffs and singalong choruses were smiles all around. In this era of generic big-box musicians and carefully cultivated images, Jonah maintains a fierce DIY (do it yourself) ethic. At his online merch store, appropriately called the Yard Sale, Jonah was years ahead of Radiohead in pioneering a “pay what you want” approach. 130bpm, Key of D, romantic and yearning, sweet. Ebows and long high notes, but skitter-y stuff would be nice too. If only I had not returned my brother’s e-bow to him after stealing it for several years! Listen to the title track from Far’s latest album, At Night We Live below. The bridge reminds me of the LOST series finale. I find it increasingly difficult to keep up with all the music being released these days. And, perhaps due to my increasingly crotchety old man disposition, I find myself favoring old-timey indie rock (although, I still enjoy plenty of current music, as you’ll see below). At The Record Machine, get all woodsy with a free copy of The More The Merrier Christmas. And, this one’s neither Christmas-y nor beard-y, but you can download alternate versions of songs from A Thousand Shark’s Teeth by My Brightest Diamond via Asthmatic Kitty. The music nerd in me (combined with my undergrad marketing background) always notices when indie-ish bands are featured in commercials. While I suppose lots of the folks who are working on Madison Avenue are either in my age cohort or younger and, therefore, probably have similar tastes in music to me, I am often confused (and a little put off) by their choices in background music for ads.